Description of "MIBU & The New Millennium: The Indian Code "
Shanmugasundaram Rajasubramanian (Shan R) works as a project manager in a reputed Indian IT company. He grew up in different parts of India and worked in both India and USA. His love for both Indian and US cultures led him to write his debut novel MIBU & THE NEW MILLENNIUM: THE INDIAN CODE. 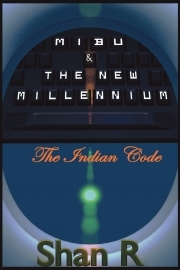 Reviews of "MIBU & The New Millennium: The Indian Code "